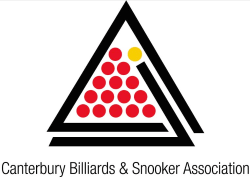 Peter Gilchrist defeats Gary Oliver 1017 – 501 in the final. Peter Gilchrist defeats Wayne Carey 1054 – 326 in the final. Peter Shelley defeats Grant Hayward 530 – 347 in the final. Venue: Hamilton Cosmopolitan Club, Claudelands Road, Hamilton. Paul Stocker defeats Grant Hayward 689 – 610 in the final. The New Zealand Open has a history dating back to 1908 and was made a World Ranking event in 2014. As always we will take everybody to the Cambridge Night Trots (horse racing) on 25th September; this is an enjoyable relaxed outing. For more information see www.harnessracingwaikato.co.nz.